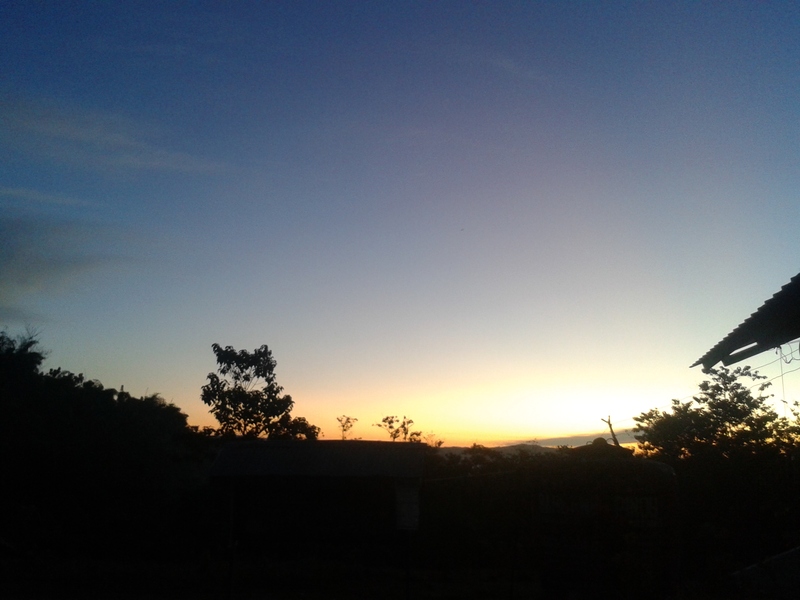 The sky was covered by rainbow on December 14, 2014 at Suawan High School. 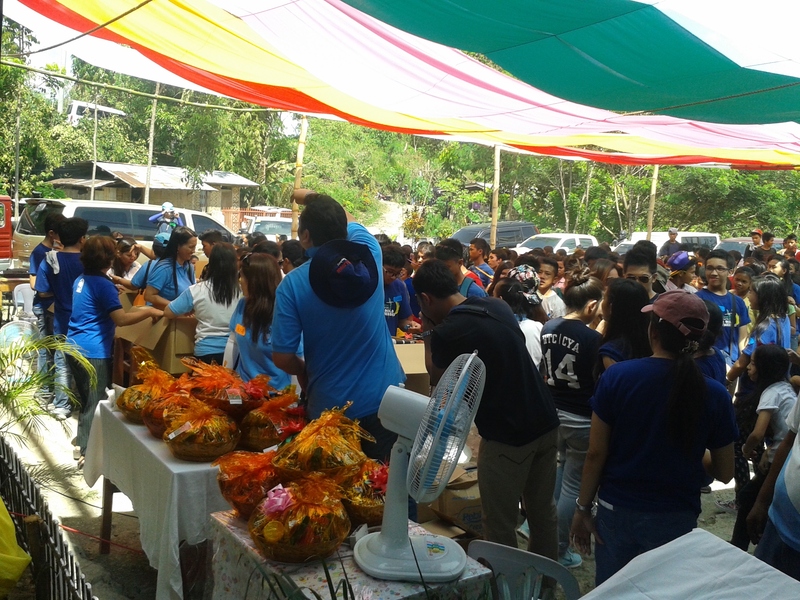 Rows of vehicles lined up at the school ground and there was a flood of blue-colored t-shirts worn by visitors from the Holy Trinity Community (HTC) along with their families bringing their truckload of gifts for all the students and teachers of Suawan. 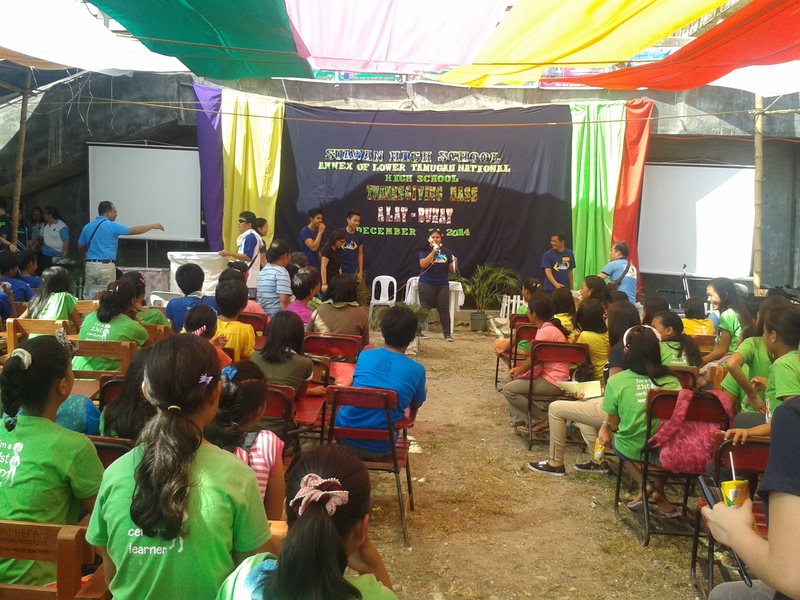 The event was dubbed: Alay Buhay organized by members of HTC with the active involvement and support of Sir Raul A. Cabilogan, SHS-SIC who also happen to be one of the members of the said non-profit group. A mass was held that opened the activity and Fr. 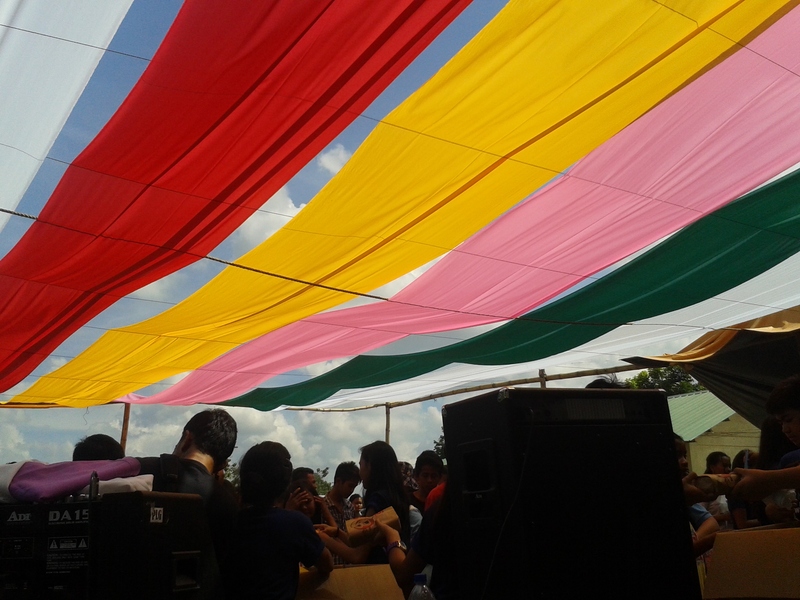 Paloma of San Isidro Parish celebrated the thanksgiving. He emphasized the importance of recognizing God as the source of all graces and blessings. And the churches’ youth choir ended it with their angelic rendition of Christmas songs. It was preceded by the break-up sessions wherein students were grouped by year level and given different inputs on love, social media awareness and youth culture. 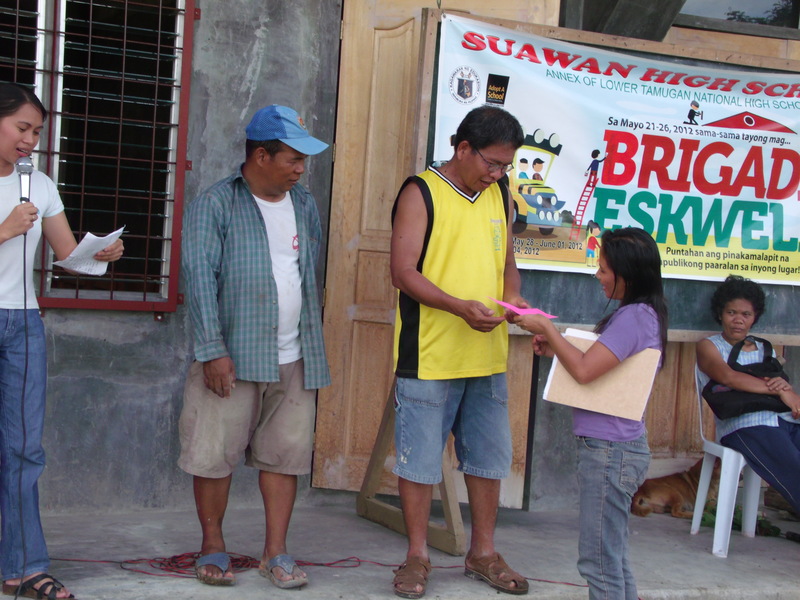 Games and prizes were distributed thereafter. Songs of praise and worship were also heard from the youth group of HTC. Then a sumptuous meal was shared by the students and the visitors. No amount of gratitude can suffice the happiness and joy felt by the students and the teachers as they were given food packs containing rice, canned goods and noodles including loads of books (encyclopedia, story books, and novels), musical instruments (bass and snare drums, xylophone) and science equipment that will surely benefit the whole school and the community in the years to come. Aila Mezel Tribajo (SSG President), shared her thanksgiving and hoped for God’s providence to the families of those who shared their time, effort and finances for the realization of the activity. Smiles and laughter were all evident in the faces of the students that day. “Lipay kaayo among mga ginikanan sa among dala.” (Our parents are so happy with the gifts we brought), said Rusiel Banda when asked about her feelings about the event. Sir Cabilogan expressed his insurmountable gratitude to HTC for the unique and one of a kind experience and stressed that students in return should be motivated to better their studies and strive more to achieve their full potentials. Then, it was closed with a pictorial with smiles in their truest and most genuine form painted in each and every face. This year’s Christmas is truly memorable and joyous to all of Suawan High School and will surely remain in their hearts in the years to come. 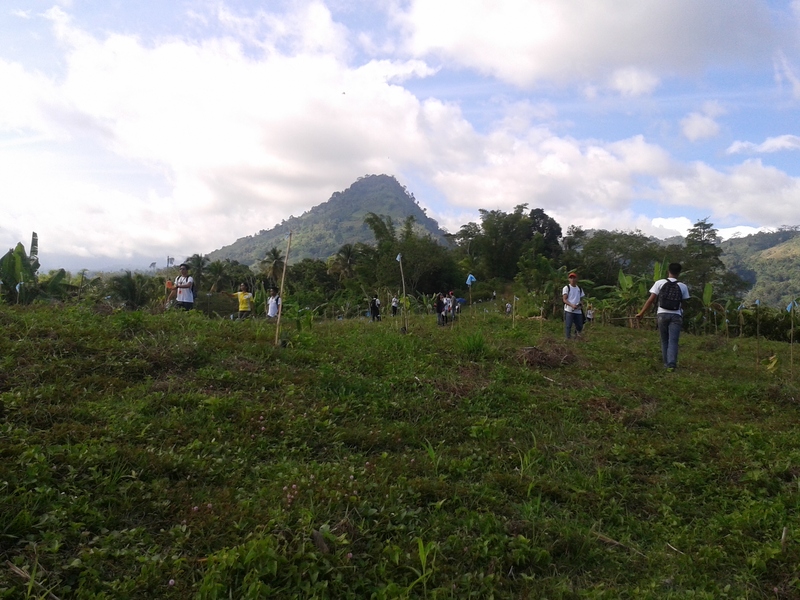 March 26, 2014 – Students and faculty members of Suawan High School gear up for the 1-hour simultaneous tree planting aiming to be part of the six Regions throughout Mindanao to plant 4.6 million trees and break India’s title in the Guinness Book of World Records. 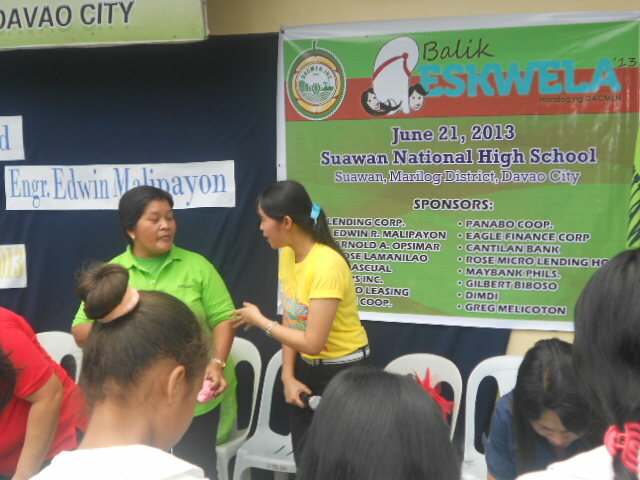 The event took place in Sitio Unapan, Barangay Suawan, Marilog District Davao City. Various groups joined this momentous endeavor. 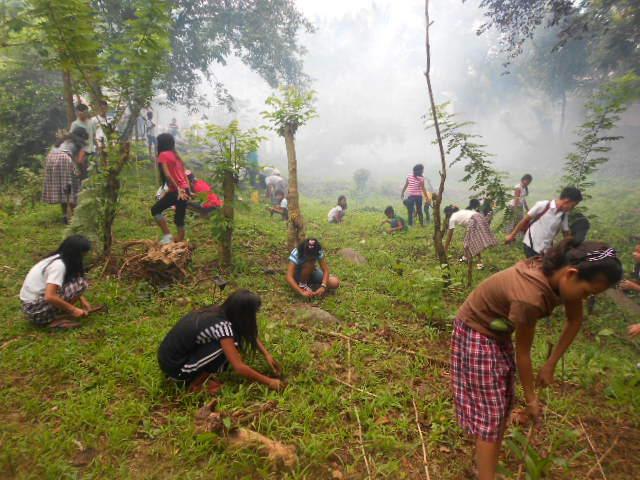 Students from Davao Christian College (DCC), University of Mindanao (UM), SHS and those from government agencies such as DPWH, DOH including SSS & Jollibee (private sectors) held hands to save our planet most specifically reforest the select areas identified by the Department of Environment and Natural Resources (DENR), which spearheaded the activity. 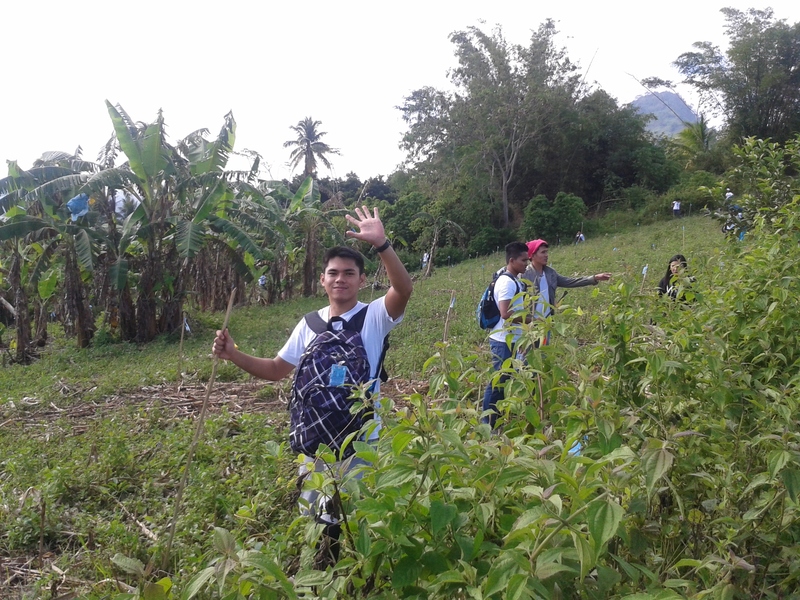 Many of the participants were first-timers in the area and hiked approximately seven (7) kilometers from the highway to the planting site. 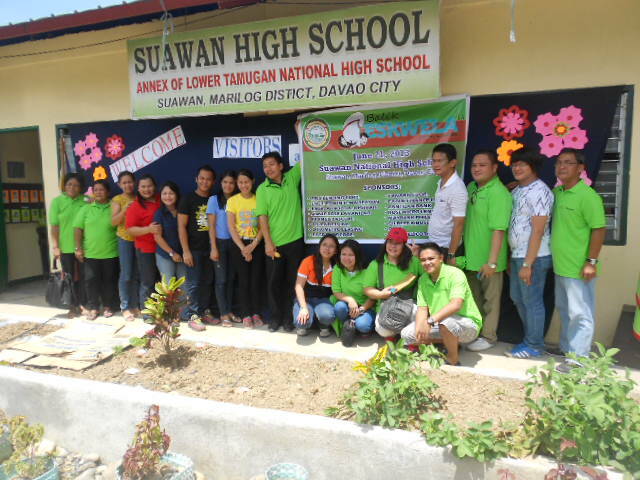 Teachers of SHS were assigned as Stewards during the event and each planter is expected to plant twenty (20) seedlings (various kinds) in designated places. 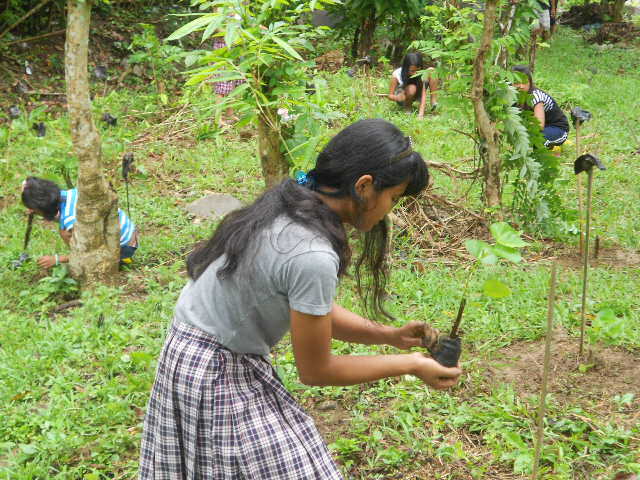 “Being one of the stewards guiding fifty six (56) participants, I saw their eagerness and willingness to plant the trees. Even though they had to walk another 1.5 kilometers to reach the planting site, I have not heard any complain from them and I thought it meant that they really want to save our forest not just for them but for the future generations to come. I felt to proud and happy at that instant.” shared Donald Jake Lopez, a teacher of SHS. No matter how the government designs projects to ease flooding in the metropolitan area and not address the issues in the uplands, there shall be no long-term solution for the probable environmental disasters that may affect the city. 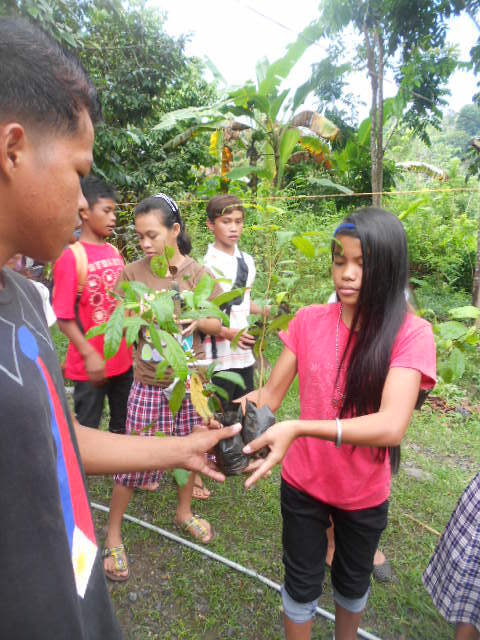 Massive tree planting activities like the TreeVolution organized by the DENR, and other similar programs like the National Greening Program must be implemented to control if not avoid future environmental risks. Close monitoring and constant evaluation of the program must also be taken seriously as to prevent failure. There is a lot to be done to help nature achieve its balance. With the depletion of ozone, massive release of CO2 in the atmosphere, and excessive logging are but a few of the things we must stop for mother earth to recover. The participants may have shared a bit of their time but hopefully, if well cared, the millions of trees planted shall soon fully grow and make this country far more livable and safe. 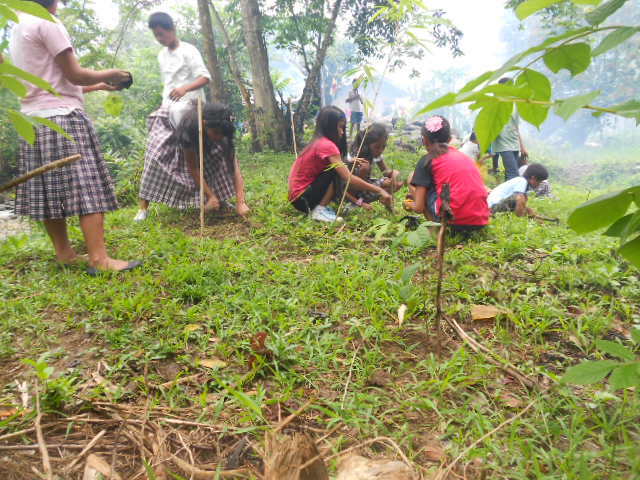 May that not be the last but will be the beginning of more tree planting activities. Getting the award or not, let us act now, and do it fast before it will be too late. Five years seemed days and the time has come for our second father to leave us into the hands of another man. 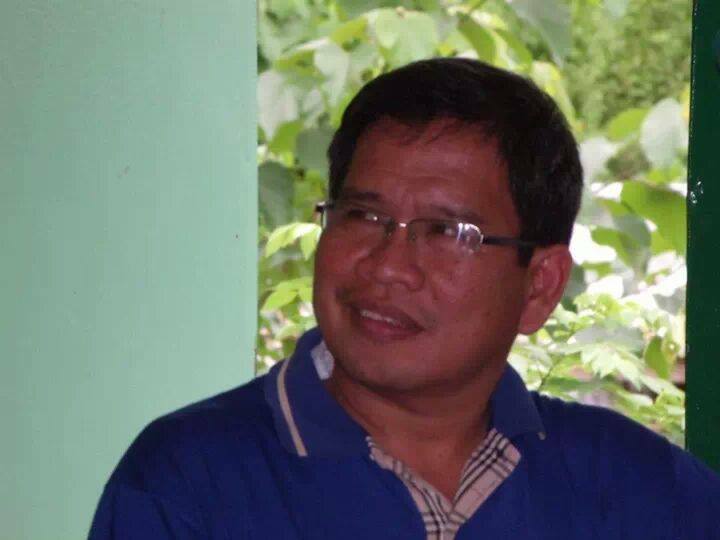 June 19, 2014 will mark another chapter for Suawan High School (SHS) – Annex of Lower Tamugan National High School as we welcome the new principal Mr. Raul Cabilogan, a former school head of Tambobong National High School as the replacement of Mr. Rodrigo J. Cayanong. The welcome program will take place at the Ungab Gymnasium at 10 o’clock in the morning which comprise numerous talks from the community leaders, the PTA president, the Punong Barangay, principals from the mother school and among others. It will also be accompanied by presentations of students from various sections including an intermission prepared by the faculty and staff of SHS. It will surely be a moment to remember as it is a testament to the unsurmountable development that was brought about by Sir Cayanong to the school. Several physical improvements were implemented as academic performance was made priority. NAT achievement was raised from nearly bottom to the top 10 not only once but twice. Not only that he was a good administrator, he was also a superb community convener for when he speaks to the community, he can always get their affirmation. With a population nearly consisting of IP’s, he was able to solicit and solidify the support of the people to participate and take part of many projects initiated in the school. He was the school’s foremost builder and he has constructed numerous facilities such as ceilings, lavatories, fences, furnitures and classrooms by himself with the help of paid labors. As a person, he was like the father to us and the students. Even parents have developed more than an acquaintance to “Sir Rody” as what he is fondly called. 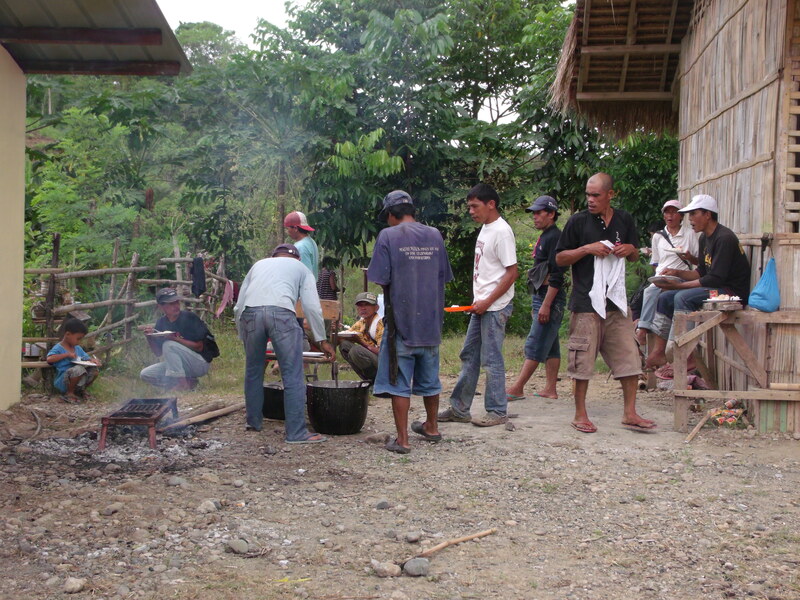 The local officials can also attest to his kindness, patience and humility. He is remembered as always with pockets full of wisdom and funny jokes. His advices are simple but direct and moving. “Buotan kaayo si Sir Rody ug dili gyud namo siya malimtan” (Sir Rody is really very kind and we will not forget him), exclaimed one Grade 8 student when asked about his reaction to Sir Cayanong’s transfer. All teachers also felt saddened by his reassignment to Dacudao National High School. This meant that he will possibly and hopefully be promoted to a higher position. Mrs. Ann Christine T. Amoy shared, “The school has become what it is now because of Sir Rody and we will forever be grateful for that.” Truly, there can never be no other man to replace him or shall be his equal. We are very lucky to have been under him for a short period of time. Yet, his journey signals another pathway for us, the students, the school and the community to claim new lands and conquer new fields. Kudos Sir Rody! Thank you and may God protect you wherever you may be. 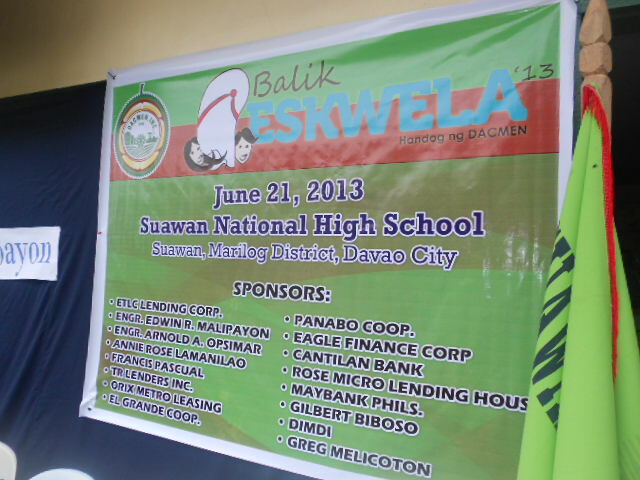 June 21, 2013 marks another significant date for Suawan High School as it was luckily handpicked by Davao Association of Credit Men (DACMEN), a non-stock, non-profit organization established in 1966 to be the recipient for its Balik-Eskwela Outreach Program which gives the students school supplies, slippers, snacks and a ton of inspiration to persevere in their education despite their situation. “I am also like you, a product of public school system as I graduated in Sta. Ana Elementary School and Davao City National High School and I came from a poor family, enthused Engr. 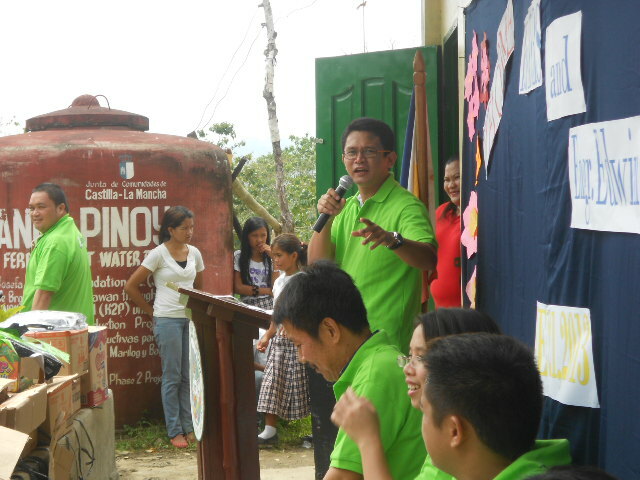 Edwin Malipayon, President of DACMEN, when he gave his message to the students. He encouraged them to pursue their studies even though there may be a lot of adversaries along the way. Some dance numbers were presented during the event and a song rendition of Sarah Geronimo’s Dahil Minahal Mo Ako was performed by Benjie Purol, a Waling-waling student of SHS as a way of giving gratitude to the effort made by members of DACMEN. 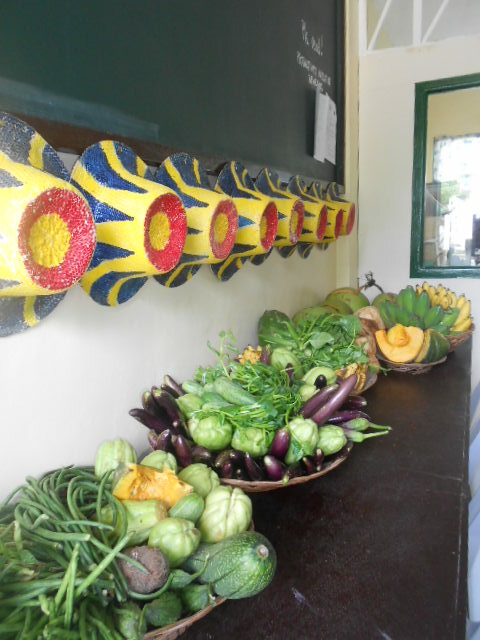 In return, the students also offered some fruits, vegetables and tubers to the guests and they were so happy as they brought back home this humble gifts. 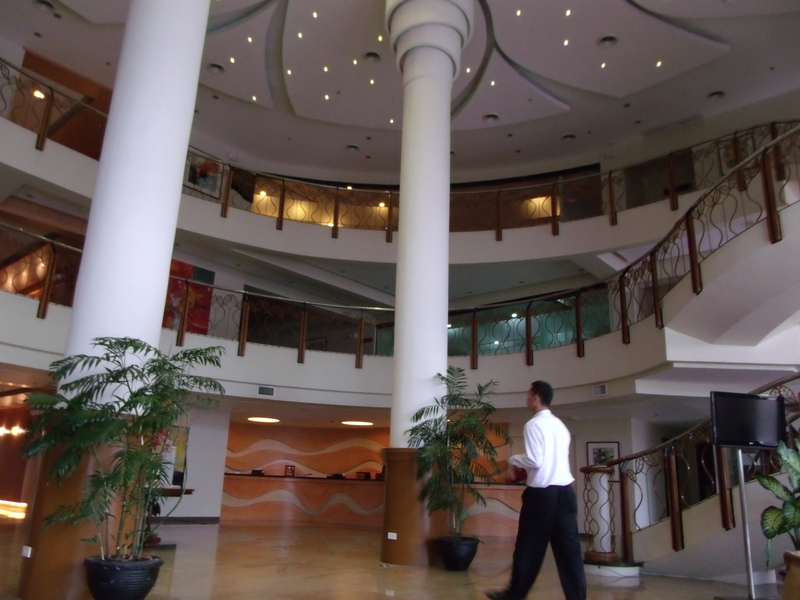 Few of the visitors who are members of DACMEN are owners of the different companies in downtown Davao. These comprise of banks, financial institutions and appliance centres. 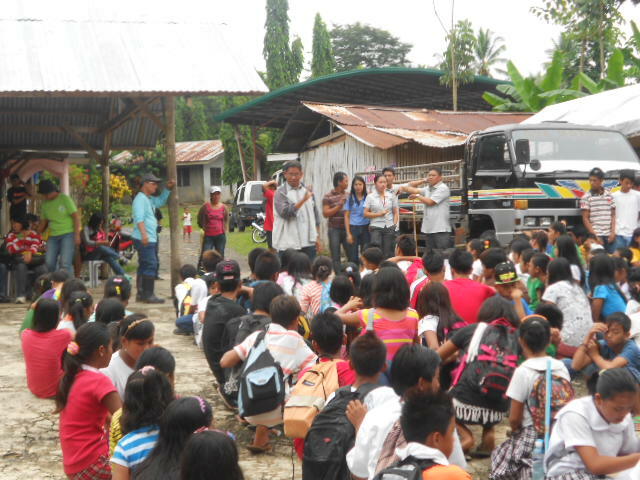 Some of them were first-timers in Suawan and they are full of enthusiasm as they give their donations to students. 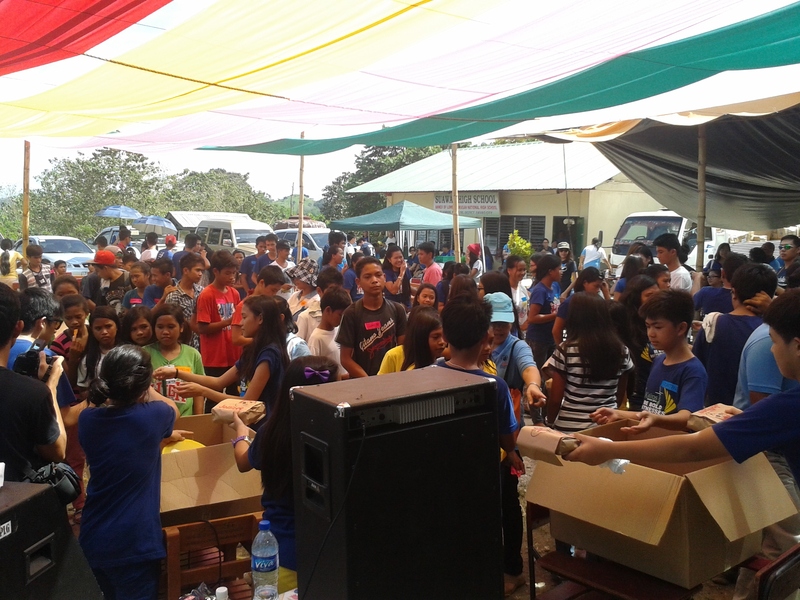 All Grade 7 students (71) were all given a pack (notebooks, papers, ballpen) and a pair of slippers. Selected students from other year levels also received the same. But all of the students got their new slippers with some snacks. “We are very thankful for the generosity of DACMEN and its members and we are so blessed to be chosen as recipient of this program”, said Ms. Flordelisa L. Parojinog, Acting Administrative Officer of the school during her acceptance speech. “Lipay gyud mi kayo sa among nadawat (We are very happy of what we received), said one student after getting his share. Truly, that event is something the students of SHS will remember and will help them in reaching their dreams and the faculty of the school is indeed very thankful for the help they have extended. More power to DACMEN! 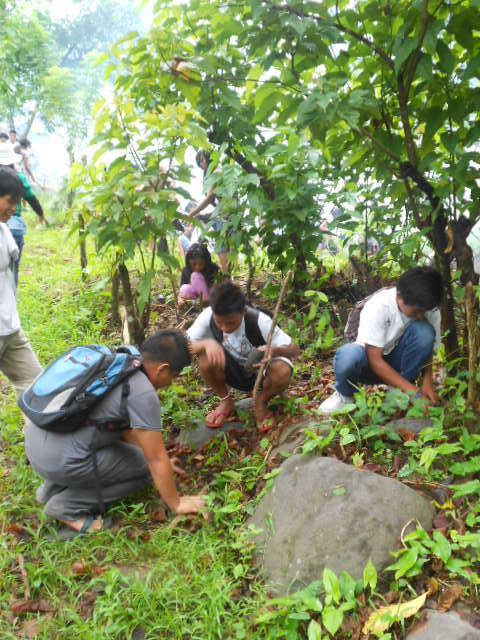 Sir Cayanong giving some tips in planting the seedlings properly. 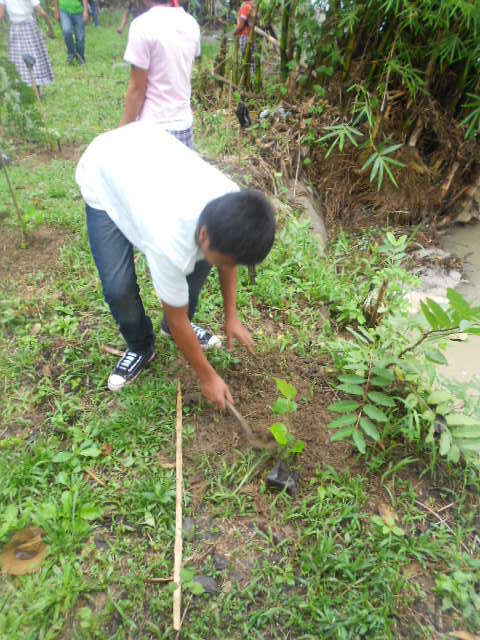 In celebration of the environment day, the students of Suawan High School together with the teachers plant one thousand trees of mahogany and malibago along the Tuli River (one of the three big rivers in Barangay Suawan) on June 6, 2013. 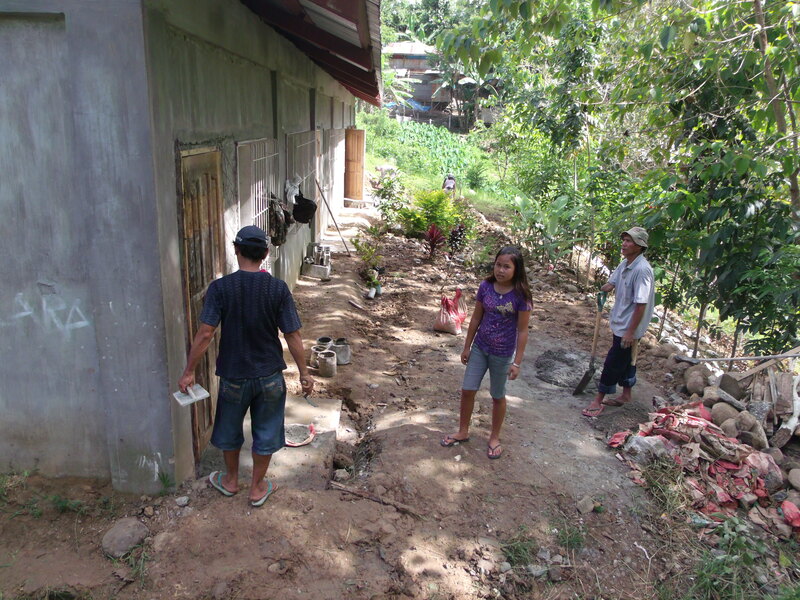 This move was in response to the alarming erosion in many parts of the barangay. 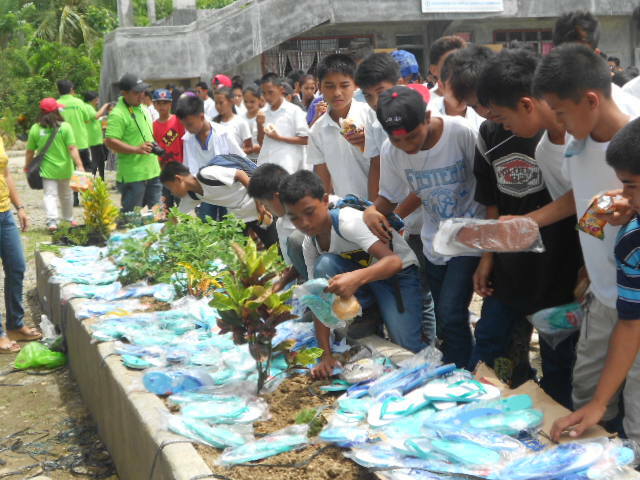 The seedlings were donated by the City Environment and Natural Resources Office (CENRO) under the Office of the City Mayor Inday Sara Duterte. 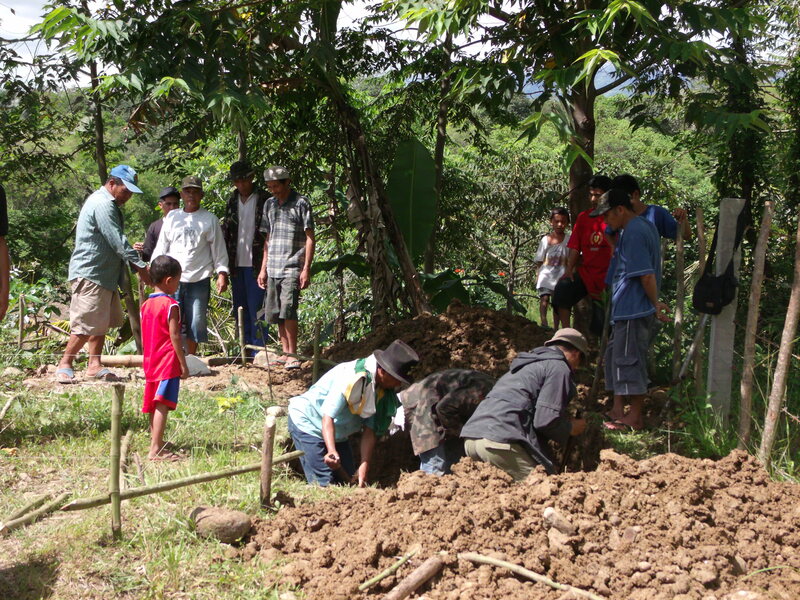 Massive tree planting activities are also undertaken in other parts of the City of Davao. Especially during these rainy months, the downtown area is continuously being affected by recurring floods. The city has one of the longest rivers in the Philippines – Davao River, known for the origin of its name and now showcased as one of the famous white water rafting sites in the country. Many small rivers lead to it and so if torrential rains appear, flooding is highly expected. 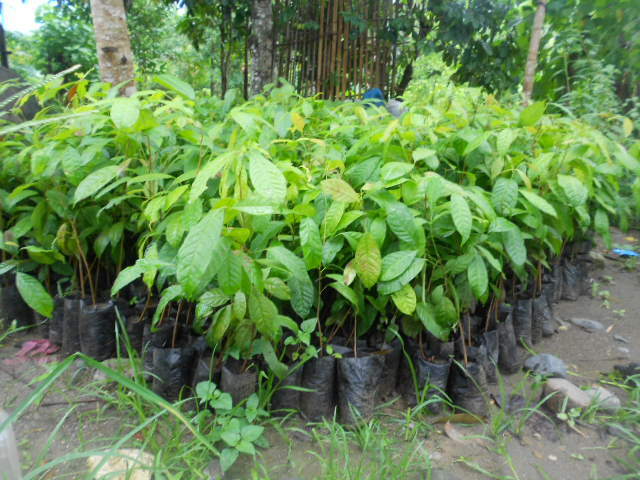 Even though the city is prepared in terms of disaster risk management and is now foregoing extensive repair of its drainage system, still there is a great need for reforestation in the uplands. 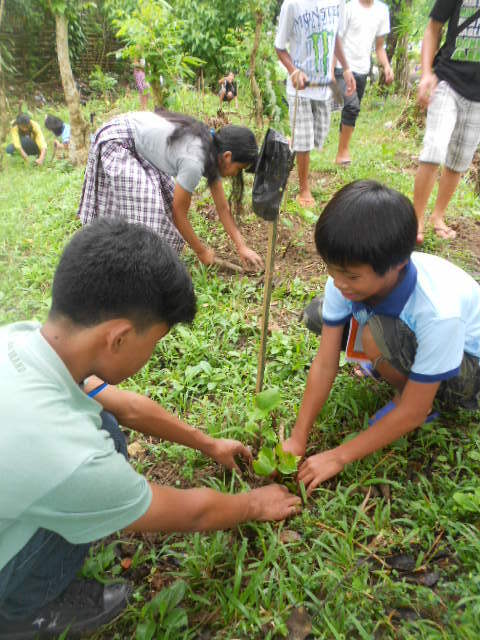 “Lingaw gyud ko sa atong gibuhat karon kay bisan sa gamay nga paagi nakatabang ko sa kinaiyahan” (I’m happy because I have helped the environment in my own simple ways) exclaimed Alvin, a Grade 7 student of SHS. “At least the students feel involved and made aware of the protective ways to prevent disasters or calamities through this activity” said Mrs. Hope T. Quebec when asked about her comment regarding the event. Nature may hold the balance of life but humans have the chance to protect and sustain it. If we all hold hands and do our part to help the environment renew itself, then we could live our life without fear and we could all live happily. 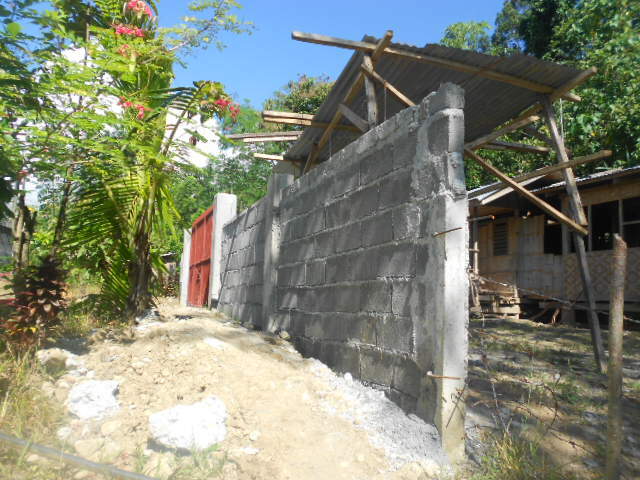 Thru the school’s own income-generating project, the school is slowly erecting concrete fencing. A gate was also created that will provide additional security to the students and the campus in general from outsiders. This move will eventually initiate others to erect additional fence. 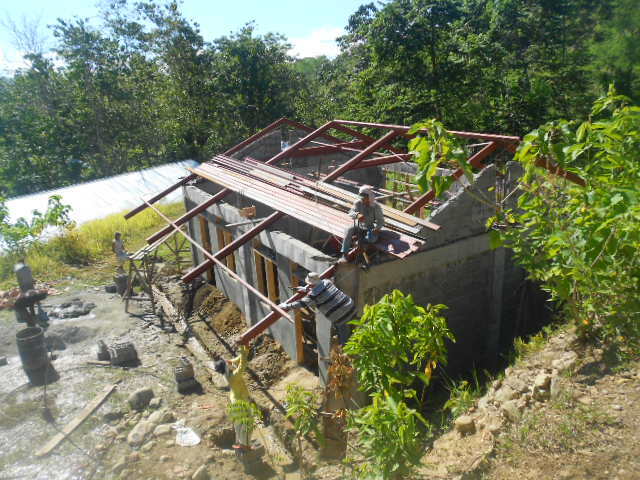 A stairway was also constructed to help students in going to the canteen and to the other classrooms in the second level (I-Dahlia, II-Zircon and III-Lawaan). 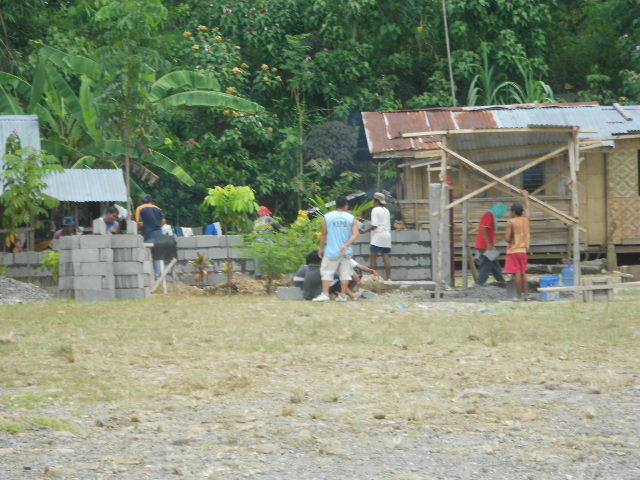 The old comfort room near the Ungab Building is renovated to cater the three-classroom structure. This will also feature a lavatory or a sink with faucet to assist students during lunch or snack time. It would also practice them proper sanitation and maintain cleanliness among them. 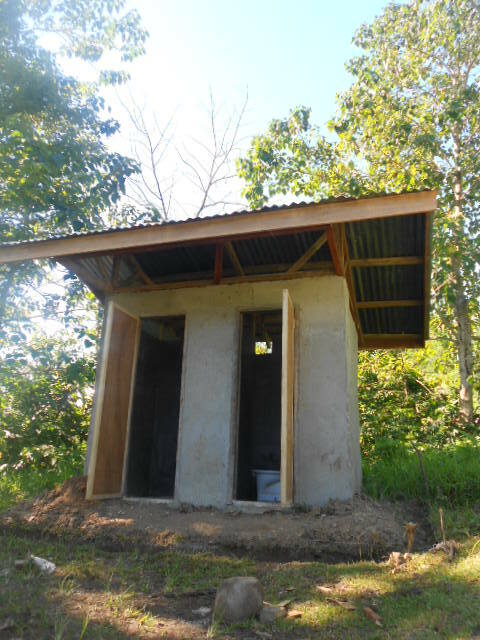 Another two-door comfort room was constructed beside the IV-Jacinto classroom that will cater the students from the other two sections. 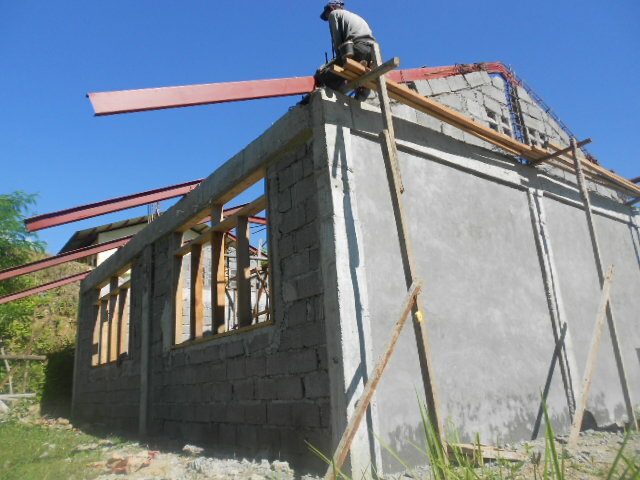 Another addition to SHS is the one-classroom building donated thru the initiative of 3rd District Representative Isidro Ungab. It will soon house the III-Acacia section under the advisorship of Ms. Flordelisa L. Parojinog. The school is undertaking fast paced improvement. 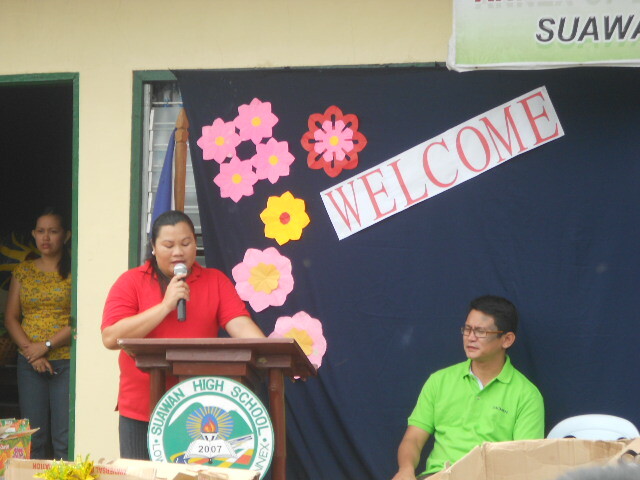 Thanks to our very active school head, Mr. Rodrigo J. Cayanong, Principal I, who at most, mans the construction works. The school is very fortunate to have you Sir! community. 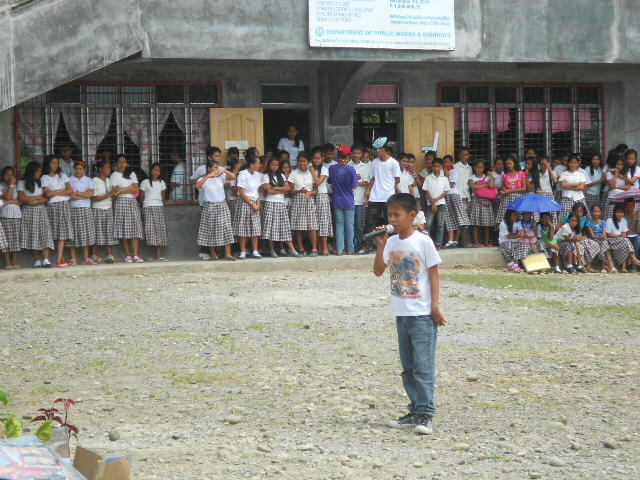 The school is grateful that the Barangay Council has initiated to help during the last day of the said one-week event. now also fenced. Thanks to the active involvement and supervision of our SIC Mr. Rodrigo J. Cayanong. The Ungab building is now fully cemented and the 3-classroom edifice has new doors as it was transferred to prevent students from being trapped in the event that lansdlides occur. The main gate was also initially started. 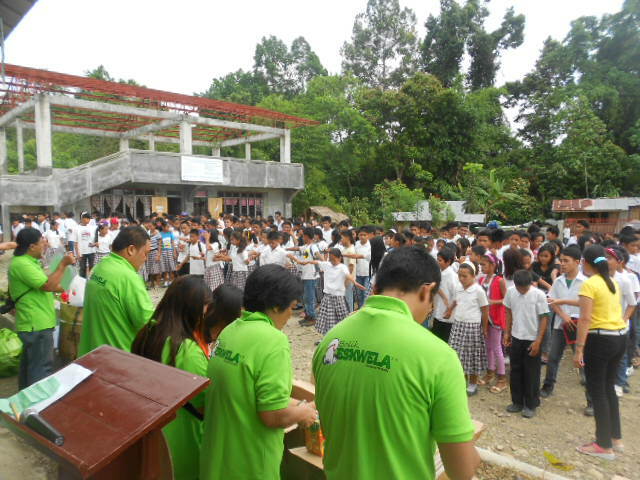 the Brigada Eskwela 2012. We hope to see you next time! 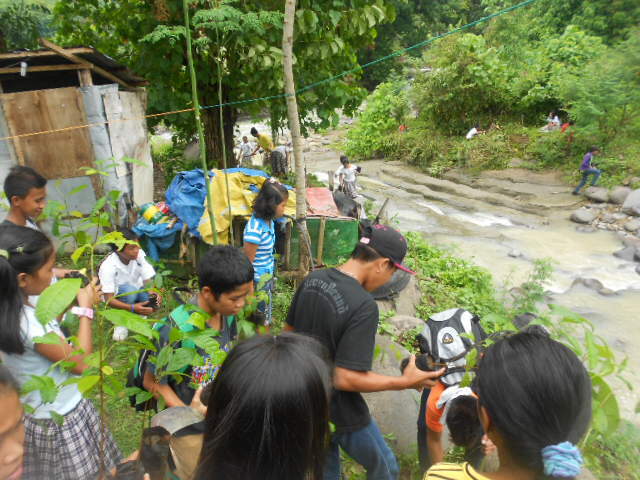 and happiness to dozens of children in Barangay Suawan. more) plus snacks to the kids. There was a program held that consisted of games that made the children very happy. “We did this as the outcome of our event turned out well and we wanted to help the community being a KAPARIZ member who does outreach programs like this,”said Kakay Sevilla. of children that we find genuine happiness. 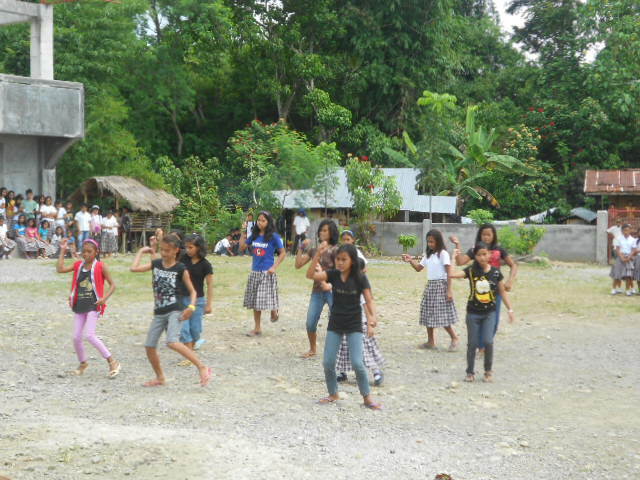 furtunate kids of Barangay Suawan. God will truly bless your gracious hands! 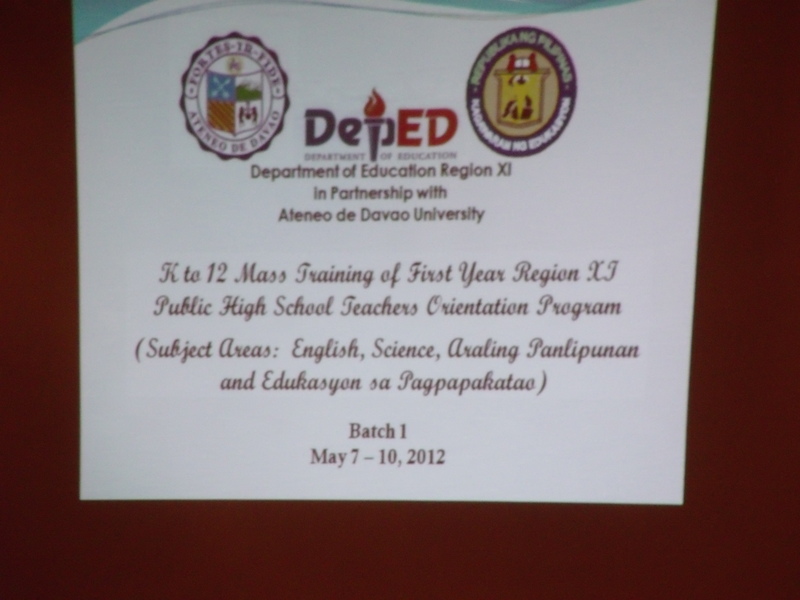 Starting last May 7, 2012, first year high school teachers in Region XI, have gathered in Davao City to attend the K12 Mass Training. This event was made possible by the Department of Education in partnership with the Ateneo de Davao University (ADDU) and University of Mindanao in which the seminar took place simultaneously. There were also faculty members of the said universities who were also the speakers of the said training. The teachers coming from Davao City, Davao del Sur, del Norte, and Oriental enjoyed the cozy and comfortable amenities of the Pinnacle Hotel and Suites. There will be two more batches of teachers in Region XI who will be attending the said event. 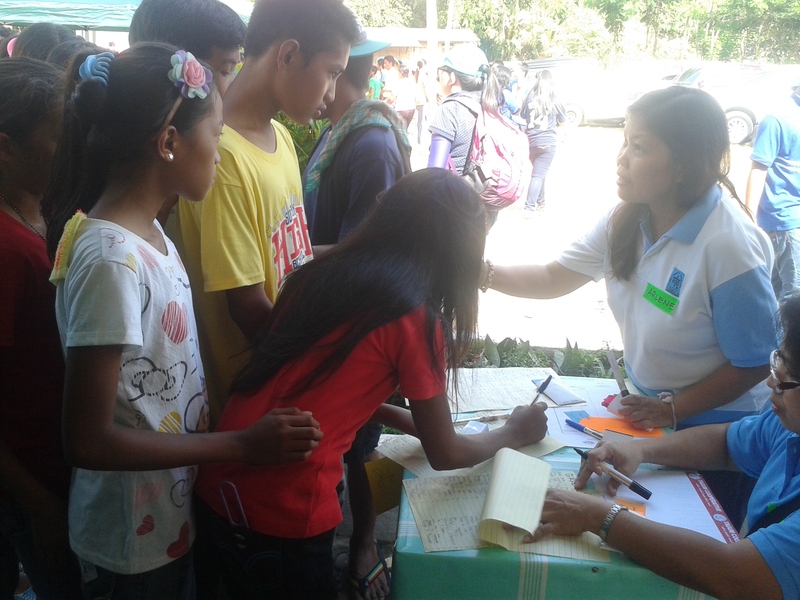 Simultaneous trainings were also held in University of Mindanao and Lolengs Resort. All subject areas were tackled thoroughly. This program aims to level that of the rest of the world when it comes to basic education (kindergarten, elementary & secondary). With this new curriculum, 2 years will be added in high school (senior high school) and it will be the time when students will specialize on a certain subject (i.e. arts, sciences or technical vocational courses). Although this is the adjustment period, students will hopefully be globally competitive in terms of skills and knowledge and as well be their passports in obtaining jobs if they may not pursue in college. Suawan High School faculty members were among the 72,000 elementary and secondary public school teachers who were the recipient of the mass training. As contrary to public notion, the curriculum will help level up the educational system that is obsolete and opposite to world trends. Parents may see this as an additional burden but on the brighter side, we can envision our children to be more adept in facing the fast-paced movement of technological advances and globalization. Good news. The Department of Education has released its budget for the repair of the Ungab Building constructed years ago. The work includes the transfer of the doors (landslide prone) and the finishing of the floors (used to be flooded during rain and is mainly earth). Kgwd. Ireneo Calimpas (also current PTA President) is helping the completion of the said project with Mr. Jonathan Jacosalem assisting. Sir Rody Cayanong is heading the group.